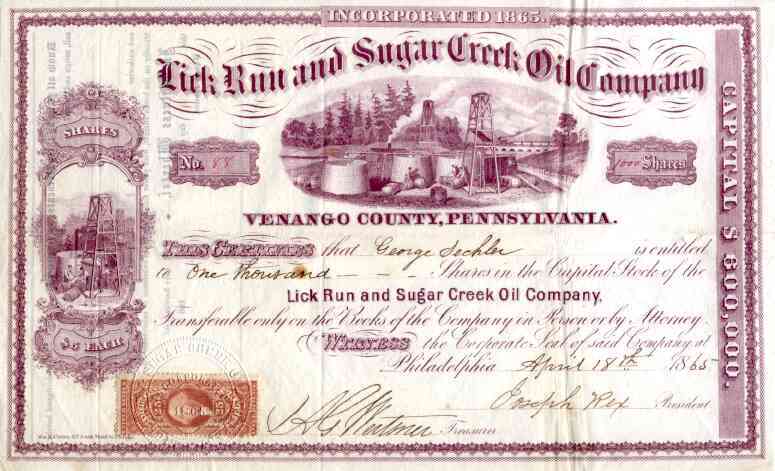 1865 Lick Run & Sugar Creek Oil Stock Certificate. Very attractive Venango County prtroleum scripophily certificate with vignette of producing wells filling above ground oak tanks with men filling barrels from the tanks. Located along the junction of Lick Run and Sugar Creek, company had some initial success, but that was short lived. Certificate is in VF+ condition.